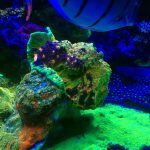 New Vertex Aquaristik Mag-Line: accessories with style! 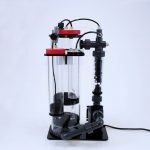 Home / Equipment / New Vertex Aquaristik Mag-Line: accessories with style! 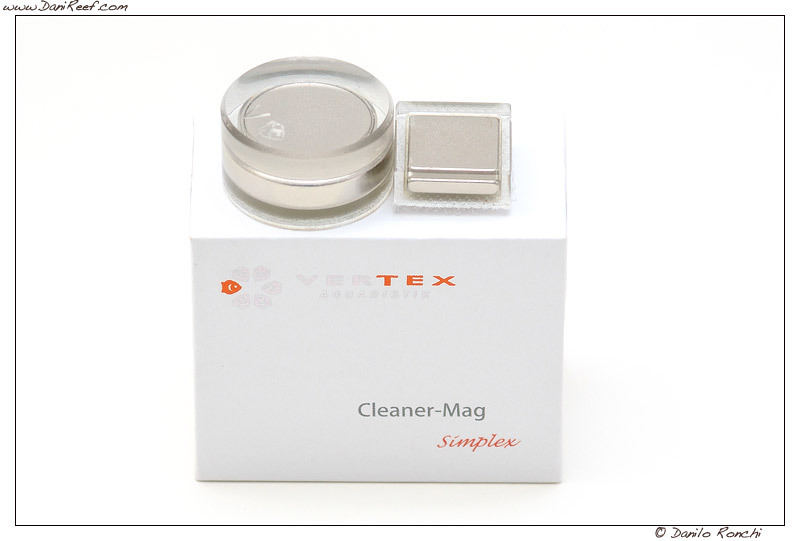 Vertex Aquaristik has just announced its new “magnetic” line Mag-Line, shown in preview at last NurnbergInterzoo Fair. 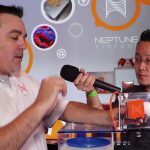 Vertex wants to create a new stunning, useful and compact aquarium accessories line. 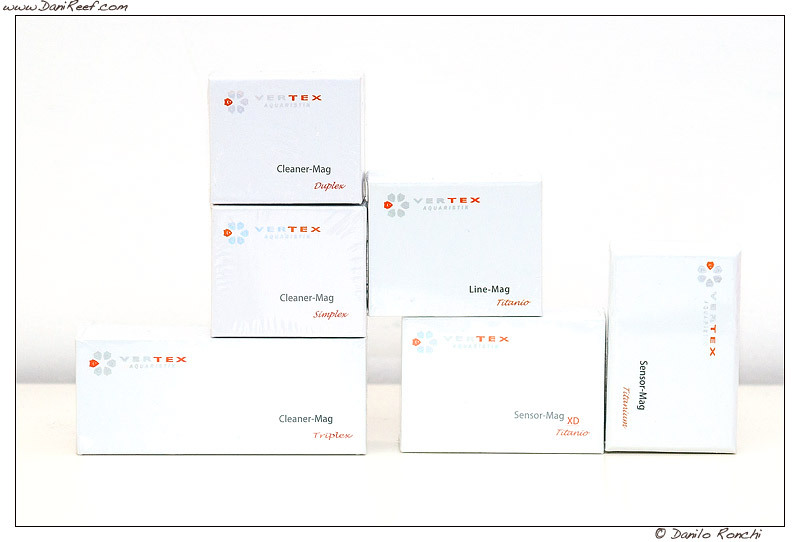 And with this new products, Vertex hits the target for sure. 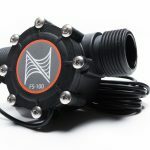 The components are acrylic, with underwater parts made in titanium, to avoid corrosion. 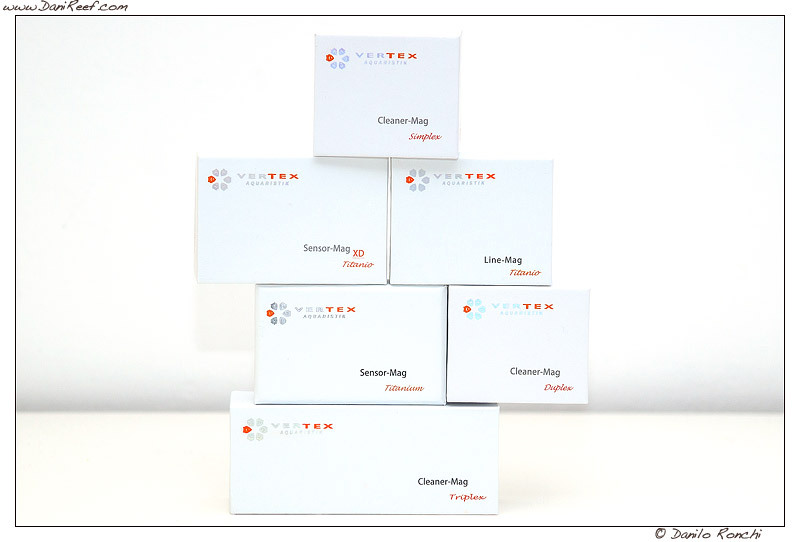 There is a suite of three accessories: Sensor-Mag, Cleaner-Mag, Line-mag. 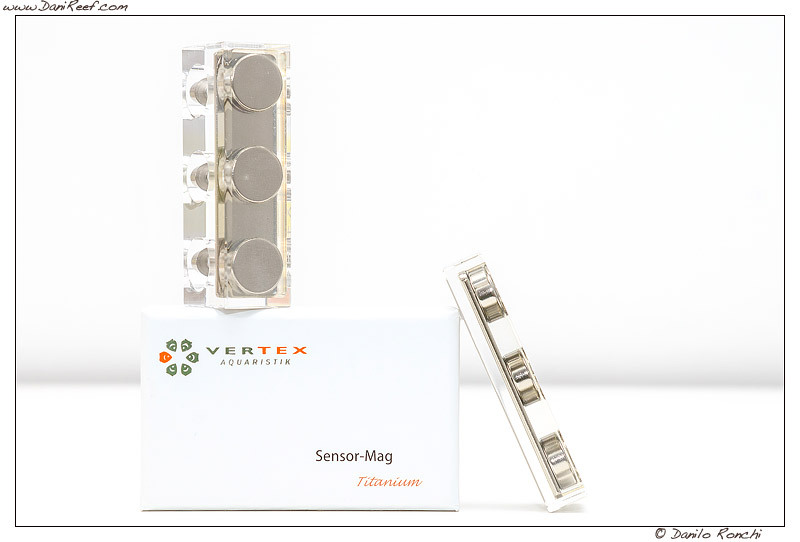 Sensor-Mag Titanium includes 3 circular magnets, set in a small, acrylic block. Finish is extremely precise. There are also 3 small, 13 mm circular holes fitted with 3 titanium screws, to avoid oxidization and corrosion. Magnets are nickelplated to be pleasing to the eye and I think that it’s impossible to achieve a result better than this. Sensor-Mag are really easy on the eyes. 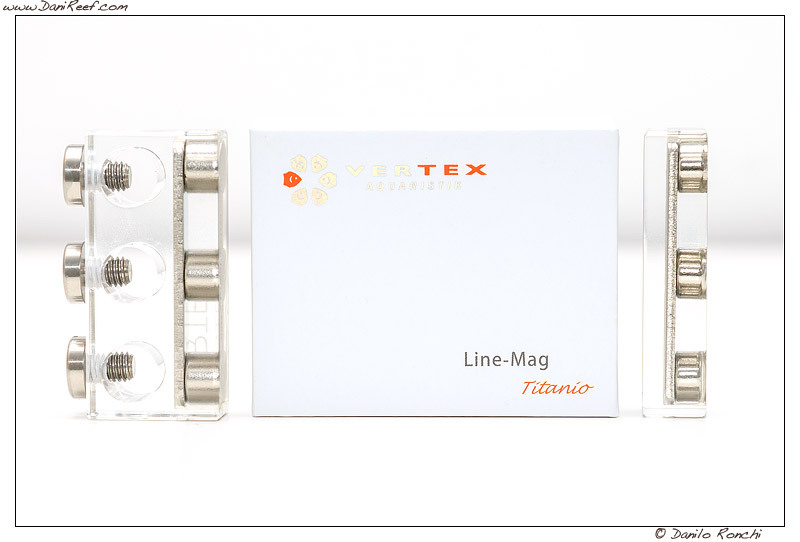 The line includes 2 Sensor-Mag, Sensor Mag Titano and Sensor Mag Titano XD. 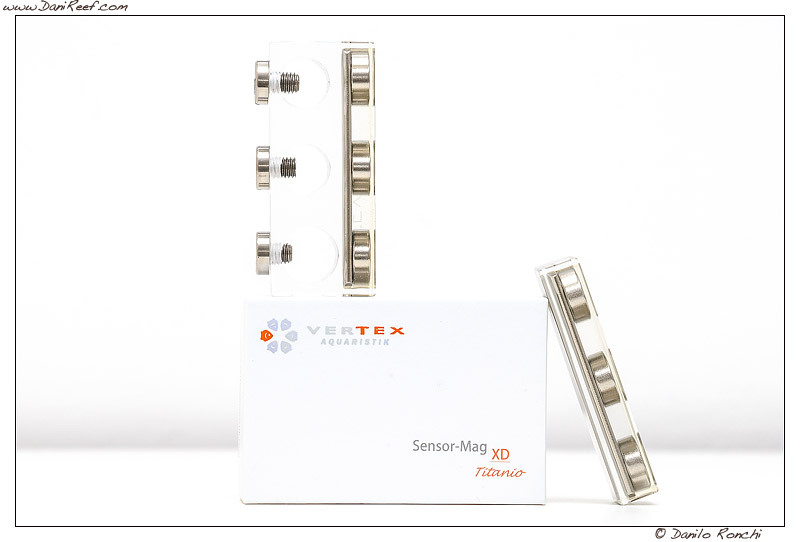 The two Sensor-Mag are almost identical. The only difference is the diameter of probe-fitting holes. 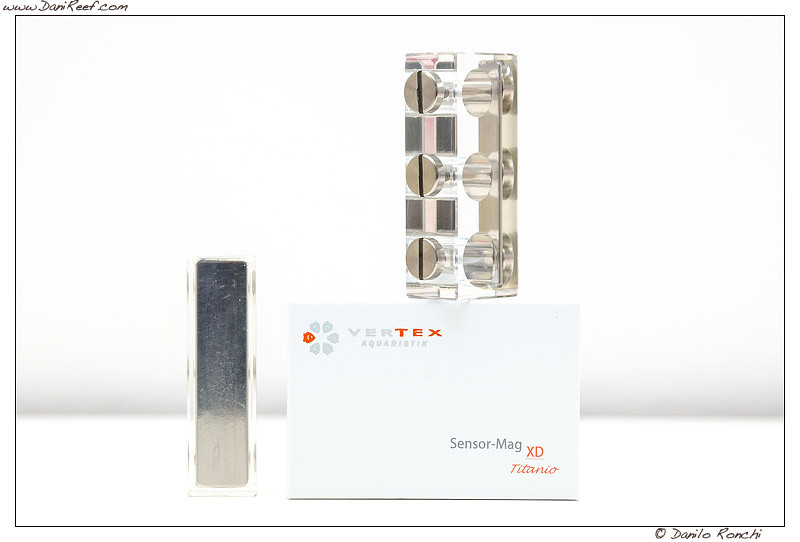 The smooth version accepts the most part of the probes commercially available (12 mm diameter). 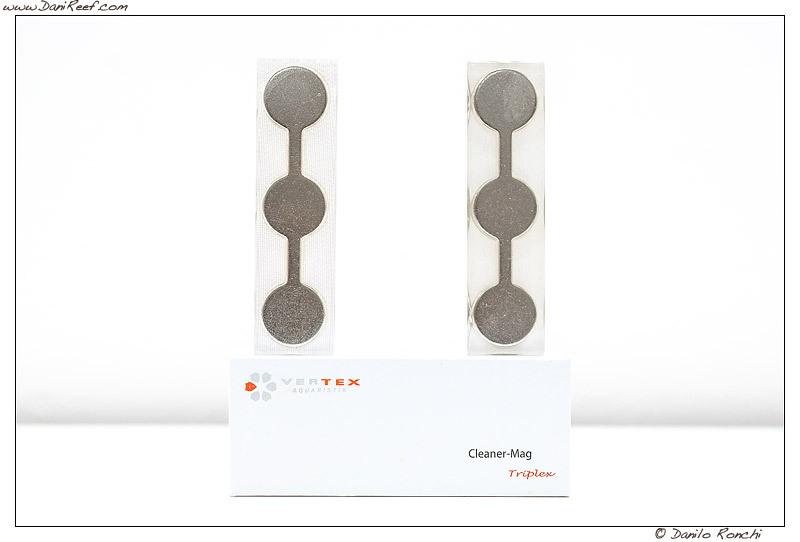 Cleaning magnets are frequently found in our tanks. 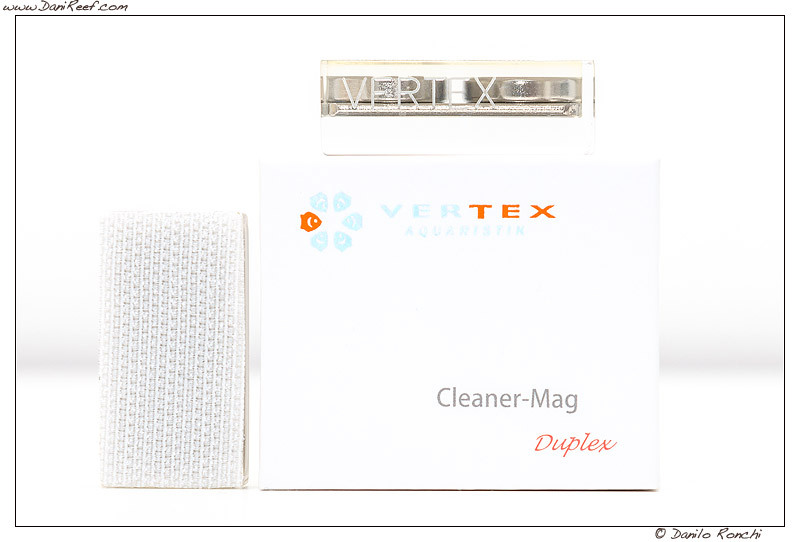 Vertex is offering us something discreet, beautifully built and very, very fascinating. 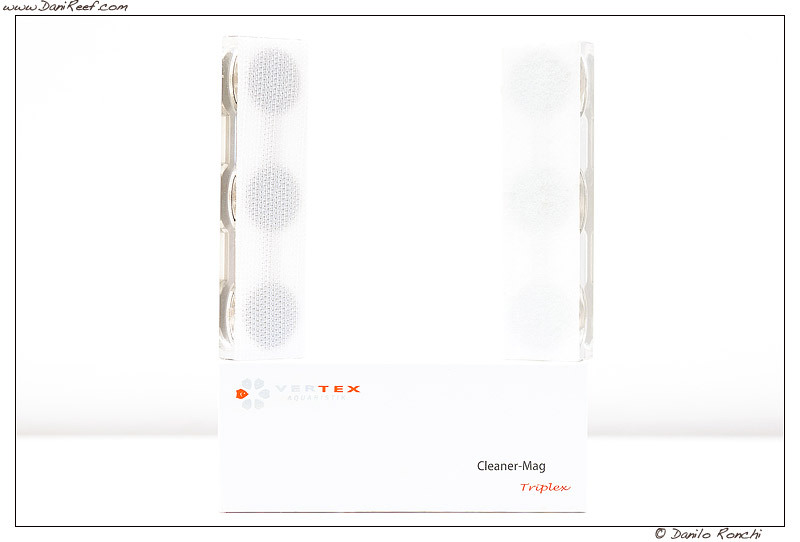 Actually, the line includes 3 Cleaner Mag, together with another one, the quadruplex, which will be launched in 2013.
and the Triplex, shown here. 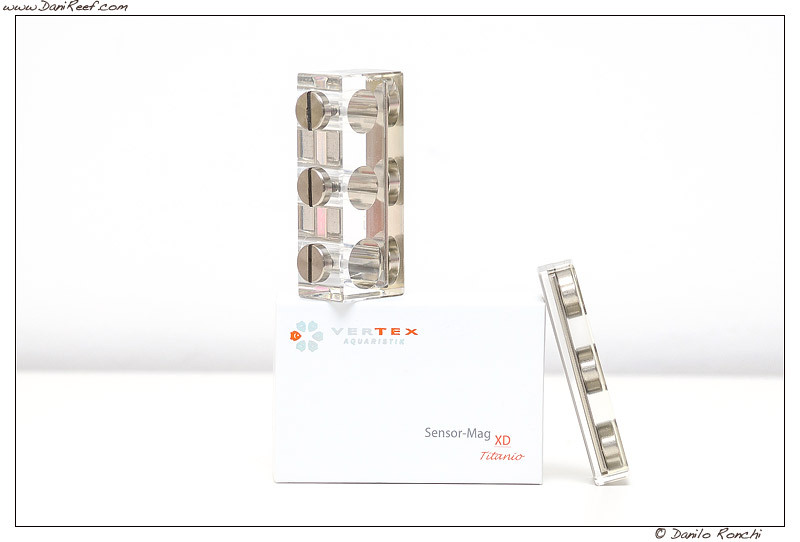 The Quadruplex‘ capacity is still unknown but we can argue that this device can be used with glass up to 15 mm thick. The magnets are incredibly small. Consider that the inner part of Simplex model is 28×14 mm and the outer part is a square whose side is 19 mm and 8 mm tall. The Triplex version measures 100 mm by 27 by 9 mm in the inner part and 27 b7 17 in the outer part. 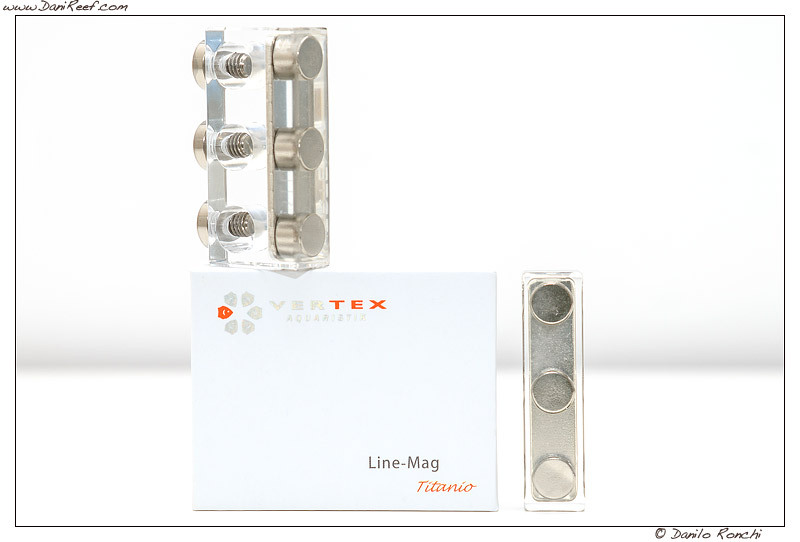 Line mag is very similar to Sensor Mag line, but suited to be fitted with much smaller objects. As a matter of fact, the cylindrical openings are 10 mm wide, perfect to include 6 mm objects, e.g. osmosis plant pipes and so on, for a perfectly neat and cleansump. 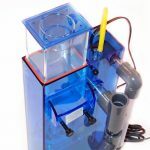 These accessories are really beautiful and are the right choice to bring a perfectly built tank in the living room, cute, precise and tidy. 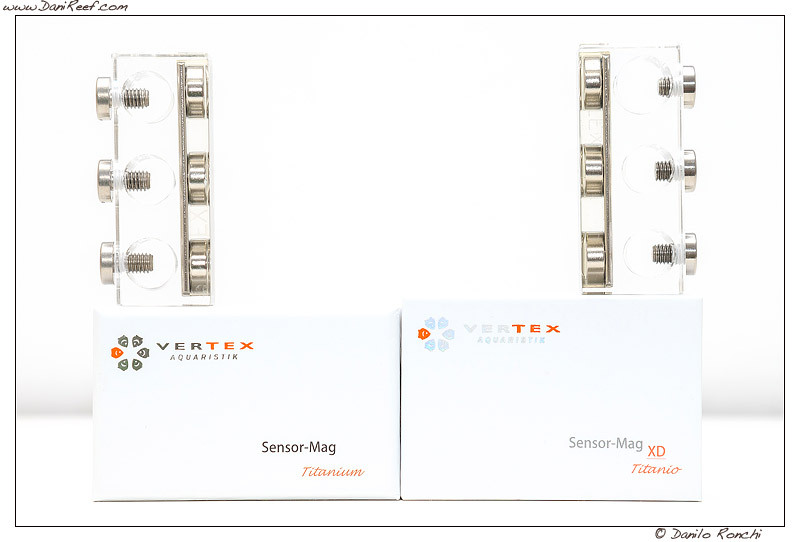 Watching these beautifulobjects, we wonder why nobody didn’t think to build them before, but I’m sure that from now on, everybody will need to match with Vertex before introducing similar products. Many thanks to Vertex Aquaristik for providing us the accessories tested today. And how about you? Do you like these accessories? Are you going to buy them? Let us know!